Now that The Sheltering Book and The Big Beach Book are no more, except for fragments, in photos, and in memory, I wanted to look at the one structure/two projects piece in greater depth, and see the different ways the large book co-created in community was used. 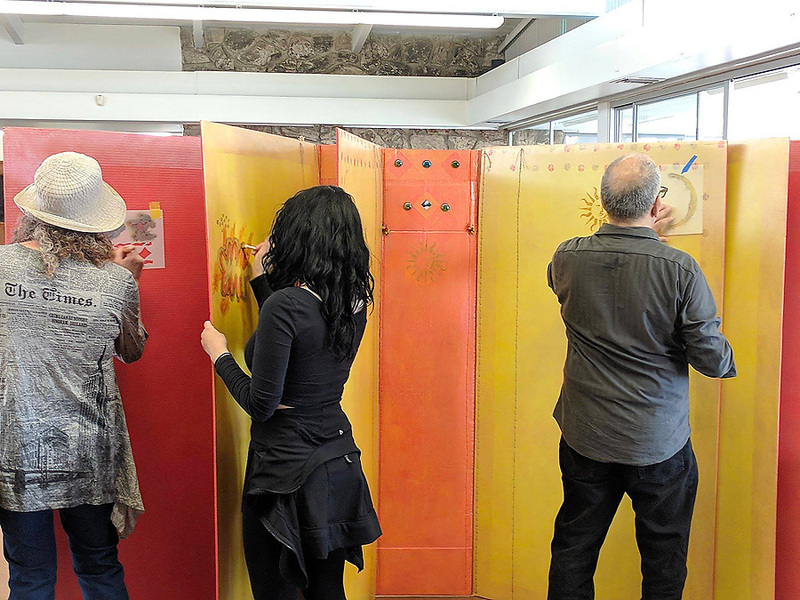 The Sheltering Book, supported by a WORD Artist Grant from the American Jewish University’s Institute for Jewish Creativity, became a shelter for participating community members to share books they created in workshops in assorted local venues. It was unadorned, except by the people of the community itself. 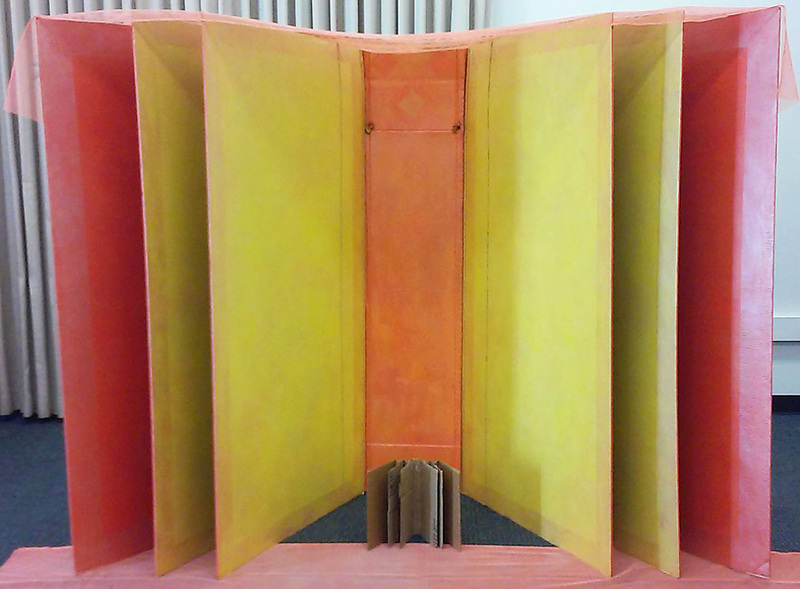 It was designed to be be a life-sized book structure and serve as a the backdrop for community bookmaking workshops drawing parallels between the meaning and architecture of the book, and that of the Sukkah. The Sheltering Book also explored the relationship between the public sphere and private space, whether that space be personal creativity, where we create, or what we create. The Sheltering Book, inside, at the Montana Branch of the Santa Monica Public Library. The Sheltering Book, outside, at the Montana Branch of the Santa Monica Public Library. 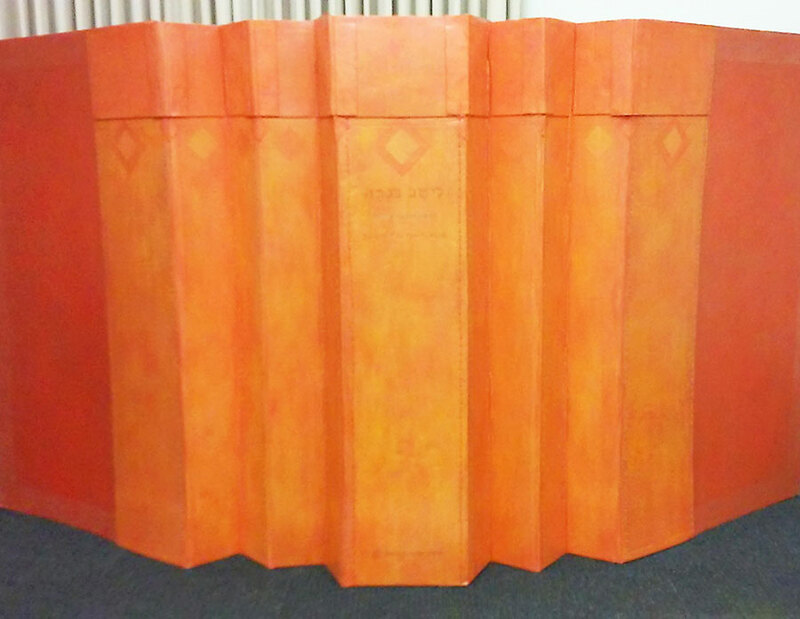 The Sheltering Book, pages, inside, at the Montana Branch of the Santa Monica Public Library. 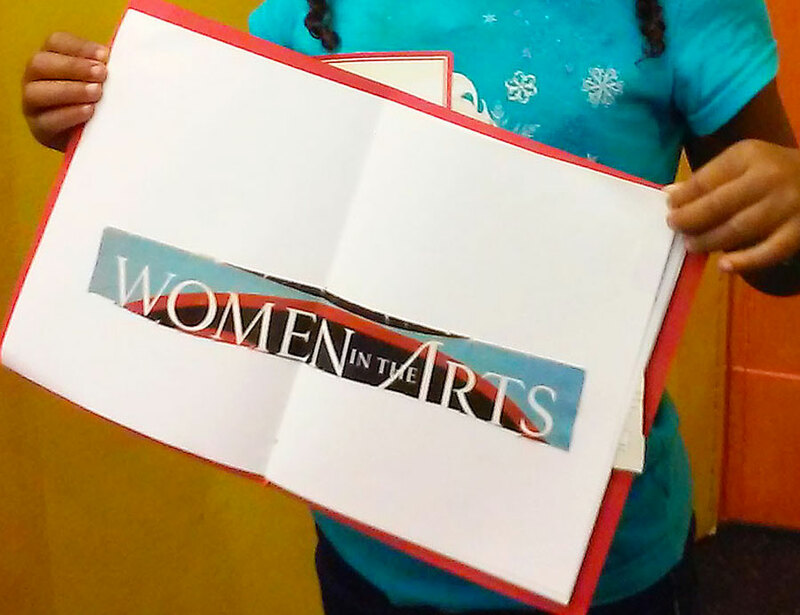 The Sheltering Book, with young bookmaking workshop participant inside, at a Community Corporation of Santa Monica apartment building for families. 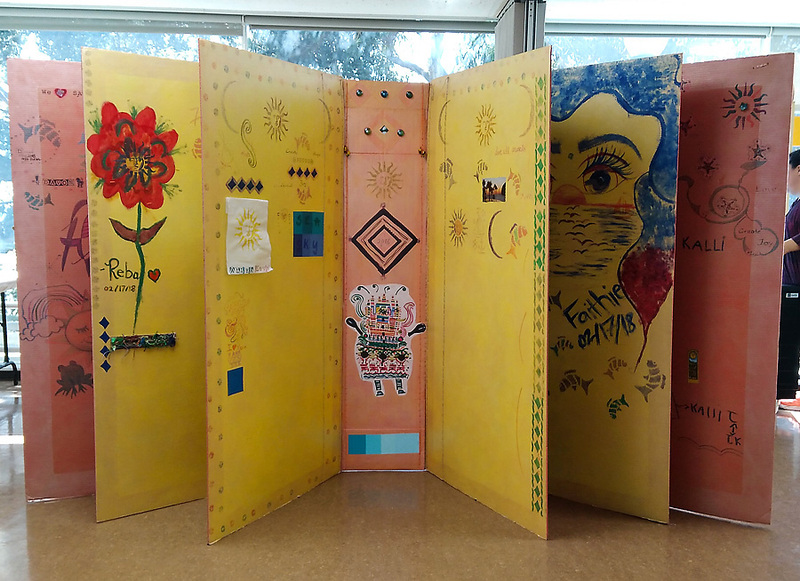 The Sheltering Book was transformed into The Big Book through a Studio Residency at The Camera Obscura Art Lab at 1450 Ocean in Santa Monica, supported by the City of Santa Monica Community and Cultural Services Department. In addition to weekly bookmaking workshops, I offered programs that provided participants the opportunity to learn skills as they transformed the surfaces of the formerly Sheltering Book, now The Big Beach Book, inspired by the beautiful natural beach and sea and cliff surroundings of Palisades Park where the Camera Obscura is located. Some workshops were offered in the glassed-in Studio itself overlooking the beach and blue Pacific and others in the wide open common space of the charming mid-century building. The Big Beach Book with engaged participants, in the common space of The Camera Obscura Art Lab at 1450 Ocean in Santa Monica. The Big Beach Book with engaged Mother/Daughter participants, in the common space of The Camera Obscura Art Lab at 1450 Ocean in Santa Monica. 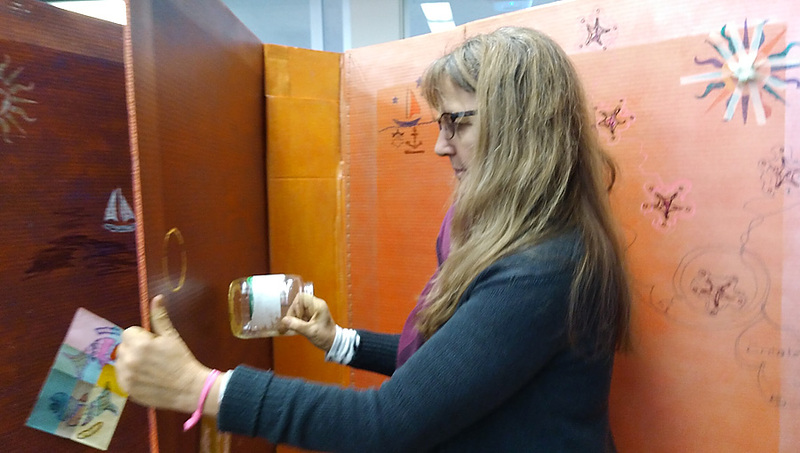 The Big Beach Book with engaged Artist participant, in the common space of The Camera Obscura Art Lab at 1450 Ocean in Santa Monica. 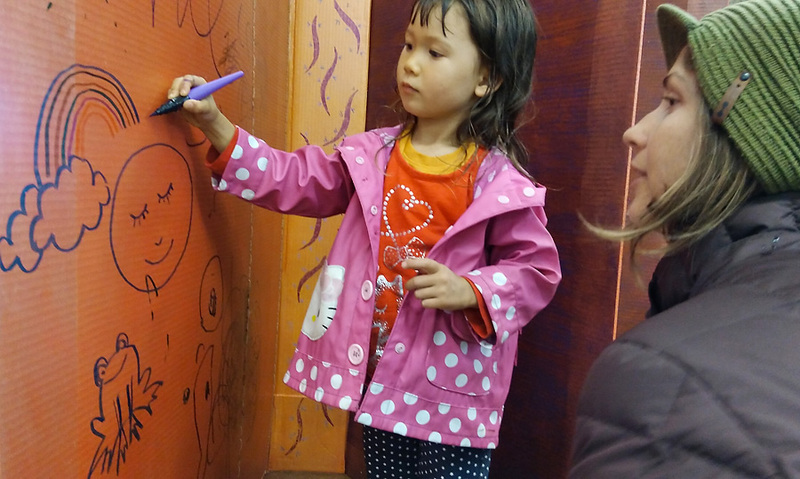 The Big Beach Book with engaged young participant, in the Artist-In-Residence Studio at The Camera Obscura Art Lab at 1450 Ocean in Santa Monica. 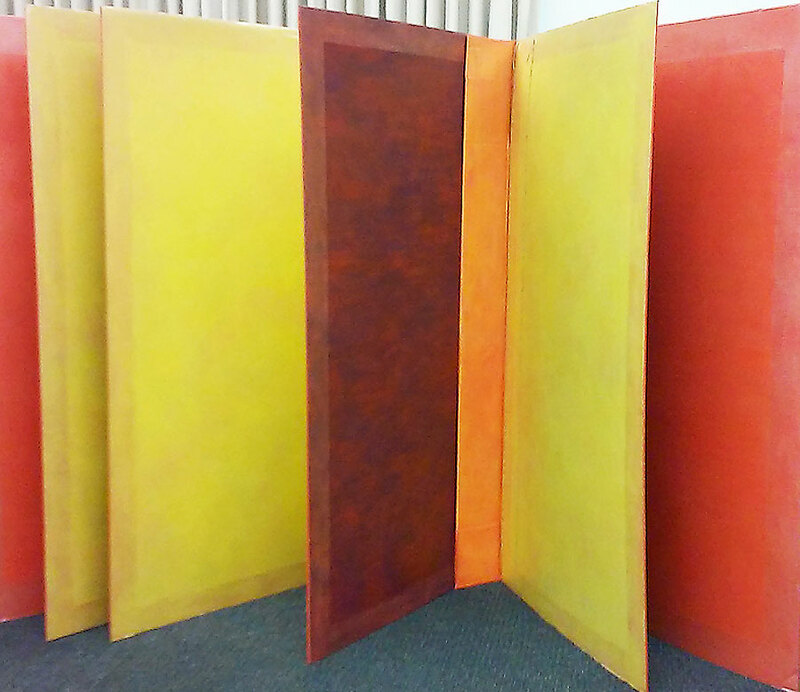 The Big Beach Book, complete in the Artist-In-Residence studio at The Camera Obscura Art Lab at 1450 Ocean in Santa Monica. 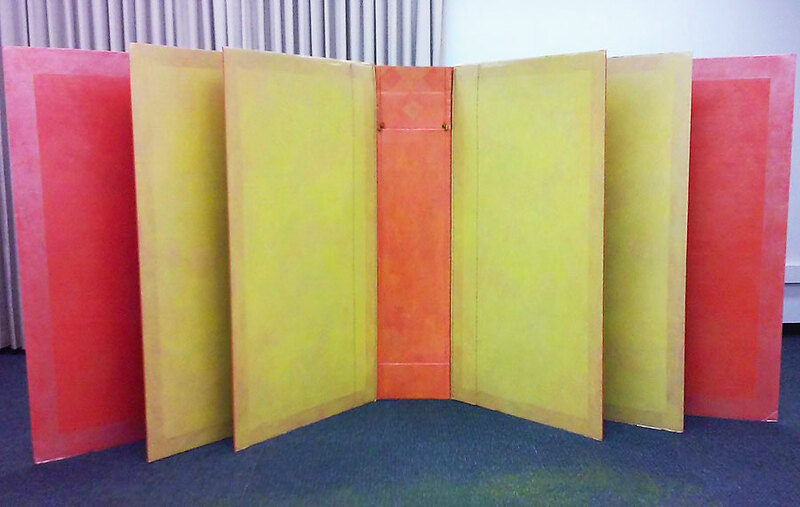 The “Big Books” live on in print, online, in images, in memory and in text. And of course, in all the projects the participants created, and in what they learned through the workshops and making experiences. It was an honor to create the structure, and serve You, our community. 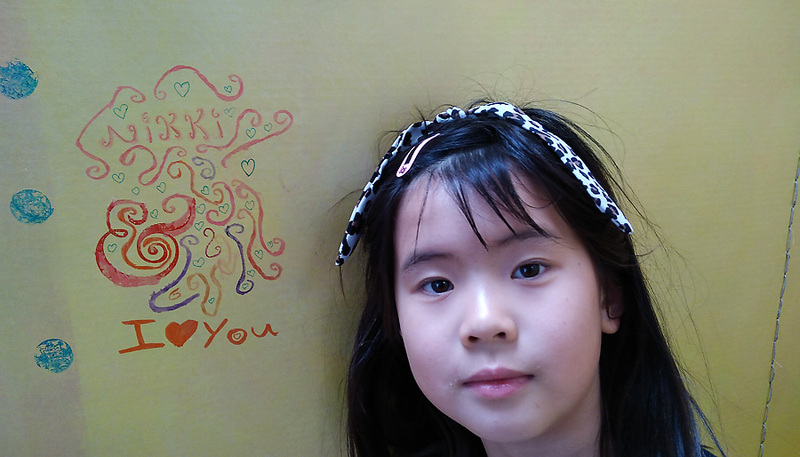 Creativity remains a shelter for us all.